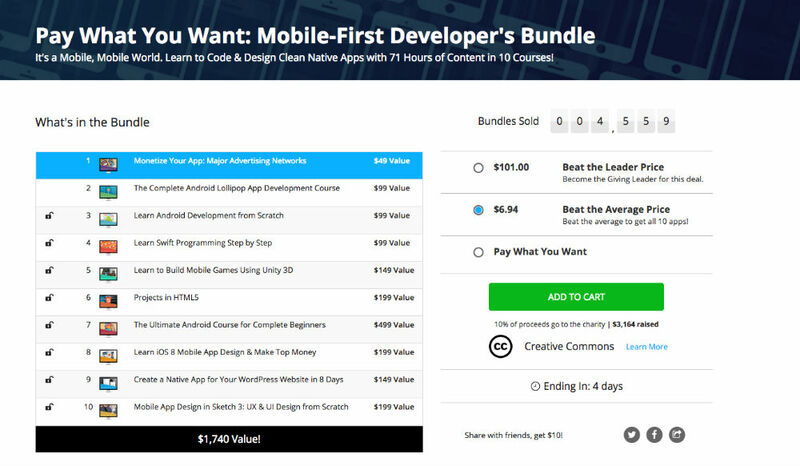 Currently over on the DL Deals Store, you can pay what you want for a 10 course Mobile-First Development Bundle, ranging in topics from Swift Programming to HTML5 Projects. The way it works is pretty simple. For whatever price you want, you get access to two courses – Monetize Your App and the Complete Android Lollipop Development Course. If you beat the average, set currently at $6.94, you gain access to all 10 courses. If you want to be really special and sit atop the leaderboard, that price is $101. Be aware, if at any point you are on the leaderboard, not just on top, you gain 5 entries into an exclusive giveaway that can win you $700 towards any Apple product you want. A portion of proceeds support charity, with over $3,000 raised already for Creative Commons, a nonprofit organization that enables the sharing and use of creativity and knowledge through free legal tools. If development is up your alley, the price can’t be beat. Check out the link below. Level Money Update Introduces "Flexible Money Management"